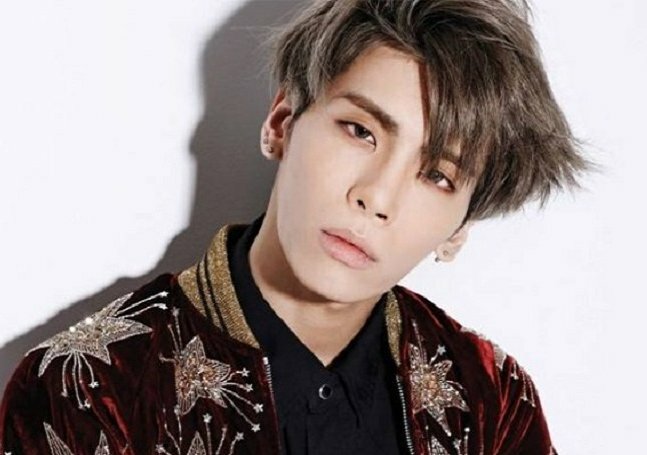 I was devastated and was in disbelief when I heard of Jonghyun passing. Having read all the articles related to him, I had tears in my eyes. Nobody expected this tragedy to happen and the heartache his friends and family felt could not be measured. Losing someone so precious was such a tragedy and to lose someone due to suicide caused more pain to the livings. The blaming game started online accusing others and blaming on things and circumstances is easy for the outsiders. However, to the close family or friends, it only add salt to the open wound. Let those who had never commit a sin throw the first stone! The moral of the story is to reflect on yourself and not be judgmental on other people. As some one who went through depression, I can almost identify and relate to the things that Shinee Jonghyun wrote in the suicide note. I can truly understand how terrifying depression can be and how it can silently take a person life. I was thankfully saved by the grace of God. The almighty God found me before I make the decision to end everything. Most of the time when I experience negative thoughts I would ask God to just take me away. The pain in my heart and the unending sleepless night, make me loathe myself and wanted to get away from myself. Twice in my life I wanted to put my thoughts into action. However, I was saved before the tragedy happen by either a phone call or a person happen to be around to stop me from committing suicide. The topic of depression can stem from childhood to the growing up process. There may be certain experiences and letdown that follow the star as he grows up. Trying to be ‘normal’ and fit into the society. The eagerness to please others at the expense of yourself. The need to be accepted for who you are and being praise by people. I experience that myself and it was so easy for people to just brush it off and say it’s your own fault. Let me tell the world depression is not so easy to handle and it takes God to untangle all the knots. The feeling is like walking alone in a maze and cannot get out of that darkness. People usually brush it off and say things that are irresponsible. Just listen to a depressed person if you don’t know what to say and pray for that person. Now as I am writing this article, I am also in the process of healing and feeling wholesome again. I was being neglected when I was young. My dad was an alcoholic and often came home in a drunken state and there were days I did not see him. He was an absent father in my life and I used to hate him. I hated my family a lot due to frequent fights and quarreling about financial issue. There was no peace in the family and I only see my Mother struggle to make end meets and to raise us up by herself. I was the youngest in the family but there were many issues and problems which I want to escape in life. In school I was bullied frequently and I don’t know how to handle the situation. I felt humiliated and angry with myself for being timid and unable to stand up for myself. I had low self-esteem and wanted so much to be accepted. However, I was disappointed again and again. Too much discouragement till I decided to isolate myself and my feelings from the world. That point of time i wanted so much to just disappear from the world and escape from everything. I live my life drifting away in my own world where there is no hurt and anguish as a way of self defence. There was once I almost jump down from my house because I can’t carry the burden anymore and I felt so tired of life. The weariness and disheartening situation cause my mental state to identify death as the only way to escape. I was in my primary school uniform when I was getting ready to jump down. My mother who was a baby sitter at that time took care of a little boy. I was going to proceed with my plan when the little boy suddenly appear behind me and ask me what am I doing. I did not want to scare the boy and said that I was looking out of the window. That was the first time I attempted suicide but was miraculously stop at the critical moment. The second time I truly wanted to commit the deed again was a few months ago that triggered my mental state again. I was facing some challenges at work. There was a friend that I look up to and respect due to her seniority. She was an ex-colleague that apparently seem concern about me. However, she started to poison my mind with words of condemnation. When someone is hurting inside, you should not throw stone at the person. After I share with her my pain, she told me that she will advice her son not to follow my path and not to be like me. I was so hurt and her evil tongue was like a sword that stab deeper into my wound. I was so angry at her but I hated myself even more for agreeing with her that I have a major problem. She only led me to look into my past and myself. Having experience the pain of self condemnation, when I read the article about Jonghyun seeking professional help, I was so angry. He could be save if only some one just counsel him with patience and lead him to God instead of himself. It was a social norm that as you grow older, people and the society have more expectation of you. At some point of time, i put on unnecessary stress on myself and compare myself with others. It’s the little things that accumulate, little by little till it explode one day like a bombshell. To describe depression, it just hit you like a heatwave. It overwhelms, suffocate and haunting you down. Having sleepless nights, anxiety, crying yourself to sleep. All these daily stress and mind game, just keep on replaying all the past failure and condemnation in the head. It is like a domino effect that start to hit all the bad experiences in life. Words that hurts, people who failed you, broken relationships, guilt and regrets. There was a point in my life where I was also desperate for help and wanted to die due to all the judgemental people. I felt that work demanded so much from me and I was so inadequate and incapable to handle it. My life seem hopeless and death seem to be the only easy way out. I was dealt with another blow in life and walk near the road aimlessly when I plan to step out to the road and get myself into a car accident. I hesitated and thought to myself, i will give myself a last chance to try and call someone and I decided that if no one answered the phone i will just go ahead and die thinking it was meant to be like this. I was meant to be gone and away from this suffering in my mind. It was a torture at that point of time and I wanted to say my final farewell but I broke into tears when my friend answers the phone. The concern and shock in her voice till this day I still remember. I was guilty for scaring her with my sudden outburst. I told her I can’t live on anymore and I wanted to just say my goodbye. She kept asking me where am I and I just cried helplessly. There were so much pain in me that I just wanted to escape. It was a domino effect when I linked my past to this day and I felt so pain that I cannot breath anymore. Similarly, weeks before that fatal day, Jong Hyun had been crying for help in his own ways. He wanted to put on a brave front for the world and he cannot express his anguish and sadness because he need to project the perfect idol image to the world. He knew that he needed help and he was losing control. He had his breakdowns and he tried to pull himself together. Friends and family knew his condition but they believed that since he is seeking help with a psychiatrist, he will get better. He was neglected and was lonely all this while. The devil wanted human to live in a lonely island where he can be attacked and devoured totally. I believe the final straw was the ‘doctor’ putting the blame on him. The doctor whom he trusted and shared the feelings that he was tormented. In the end, the doctor stated that all the trouble was because of his personality. If he could help himself, do you think he need to see a doctor? He was supposed to give professional advice but what did he do? He press the final button to Jonghyun death. The last thing that a depressed person need to hear is someone blaming him for everything. He was already feeling lacking and the doctor keep asking him to dig deeper into his wound! I was extremely anguish when I read this part in the suicide note. He was experiencing self condemnation and what the doctor did drove him to his grave. If he can save himself, he do not need professional help! In my opinion, Jonghyun did not want to die and he was hanging on to the last hope, last second that something or someone can come and stop him from hurting himself. He did wanted attention and hope that people around will notice his struggle. But everyone is busy with their own life and since nobody knows what is going though his mind, his emotion too over. He did hesitated to go through his plan and he was having a fight within himself mentally and physically, till he feel the anguish again. This time he was determined to put his thoughts into action. He was stubborn till the end and insisted to end things in his own ways. Finally, he closed his eyes with hopelessness and gave up on this world.